Comment: The crowds around Jesus want to celebrate. Their Savior, Jesus, rides into town and has performed many deeds of power. They are so excited that they loudly praise God and cheer for Jesus. But some folks don’t like this. They tell Jesus to make the people be quiet. But Jesus doesn’t. Instead, he says that even if they managed to make the people be quiet, the rocks would pick up the slack and be loud instead! 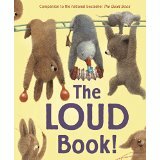 In The Loud Book, Deborah Underwood compiles all the different kinds of “loud”—big and small, good and maybe not-so-good, but none of them are silenced! There are times for quiet, but sometimes it is good to be loud, to praise God with a strong voice, to sing and cheer for Jesus and everything he has done. It is okay to celebrate and call attention to our Savior with voices and sounds and songs. We don’t have to leave it to the rocks! Comment: Isaiah writes about being bullied: struck, beard pulled, insulted, even spit upon! But he has the Lord to help him, to give him strength for contending with the bullies, to stand up and confront them. Isaiah learned from and leaned on the Lord, so he was empowered to face his adversaries. In Stand Tall, Molly Lou Melon, Molly Lou is teased day after day by Ronald Durkin, but everyday Molly Lou faces his insults and remains ‘standing tall’. This is because her grandmother tells her “Walk as proudly as you can, and the world will look up to you”, as well as other pieces of wisdom for each new taunt and tease. Her grandmother provides her with wisdom for each challenge, so she has those responses ready when she meets her bully. The bullies in our lives are hurtful, but like Molly leaned on her grandmother’s words, and Isaiah leaned on the Lord, we can turn to faithful friends and the Lord to help us contend with our adversaries. 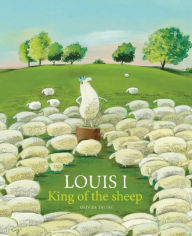 Comment: In Louis I, King of Sheep, a windy day blows a crown onto Louis’ head, and he declares himself king of sheep. Over time, Louis’ kingship becomes bossier, more controlling, and more demanding. He gathers more and more power, even going so far as to cast out sheep who look different than him. He loves being king too much and uses his position to be demanding and mean to others, to lord his power over them. By contrast, Jesus is described in Philippians as having every right to have behaved that way—being in the form of God and all, but instead, he humbles himself. He came in human likeness and emptied himself and became obedient—even to death on a cross. This humility is rewarded in the end, with a name above all other names. Our goal as people of faith is not to have the mind of Louis I, king of sheep, but of Jesus Christ, our king and Savior: humbling ourselves, rather than exalting. Comment: Badger knows he is going to die, and worries for his friends. He wants to prepare them, so he tells them he will leave them soon, so they won’t be too surprised when he dies. When he dies, his friends are very sad, and in their sadness, they remember Badger. They talk about times they spent with him and share their memories. Badger had given each of them gifts of special memories to keep with them, even when had gone. Jesus does this at the Last Supper. He knows he will die soon, and leave the disciples. He tries to prepare them, but more importantly, he gives them something to remember. “Do this in remembrance of me”, he says about the bread and wine. They are sad, too, but they will have this memory of Jesus and this supper to remember him by. When someone we love dies, we are sad, too, but our memories of them are special gifts they have given us. And when we take communion, we, like the disciples, have special memories of our Lord’s presence with us and of being with each other. Comment: Jesus’ death is very sad. His spirit goes to God’s hands, but the disciples are left to wonder, to be sad, and to grieve. But Jesus loved the disciples, and even his death proved love to be victorious over all else, so even though he died, the love lives on. Love and grief live together. 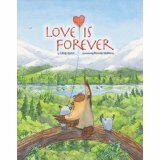 In Love is Forever, the owl family grieves the death of their grandfather, especially the youngest owl who was very close to his grandfather. But even though his grandfather is gone, the “love is always right beside” him. Death did not end love, because love is forever. Jesus’ death did not end the love between the disciples and him, and his love lasts forever, even to today, even to us. We can be sad as we hear this story, and grieve like little owl and the disciples did, but also know the love lives on, right beside us. Thank you to Sara Anne Berger, pastor of the First Presbyterian Church of Nachitoches, LA, for writing the Lectionary Links for us for the past four weeks while in the middle of cross-country move! Lectionary Links: Sunday, March 20, 2016 (Palm Sunday) by Storypath is licensed under a Creative Commons Attribution-NonCommercial 4.0 International License.